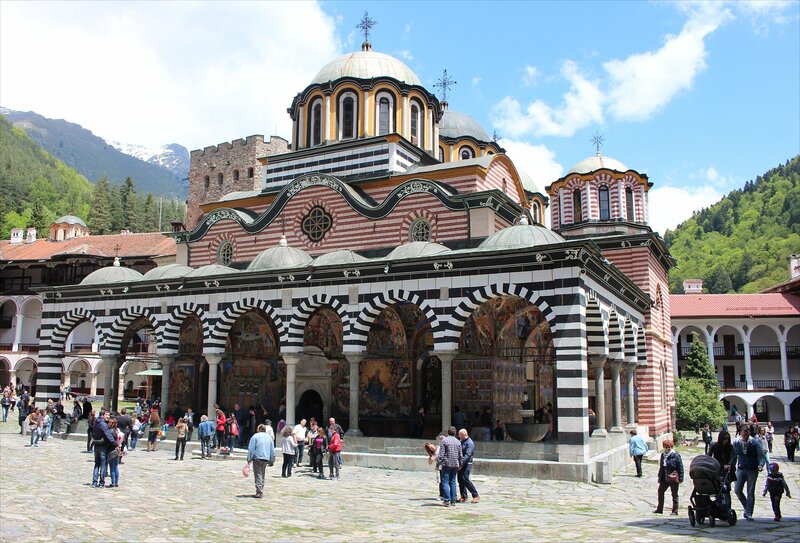 The Rila Monastery is one of the iconic images that is never far away in any guidebook or tourist brochure about Bulgaria. 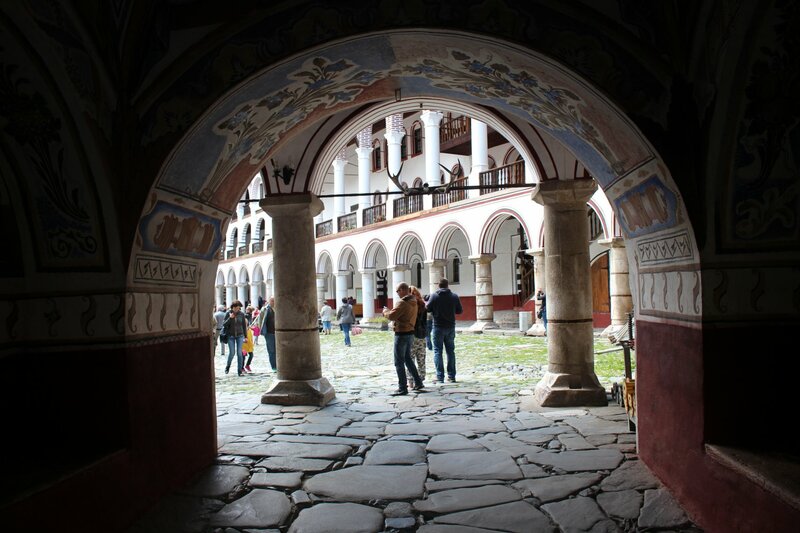 The ravages of past fires mean that little of the original monastery complex remains, with most buildings constructed in the nineteenth century with the Church of the nativity (1835) at the heart of everything. 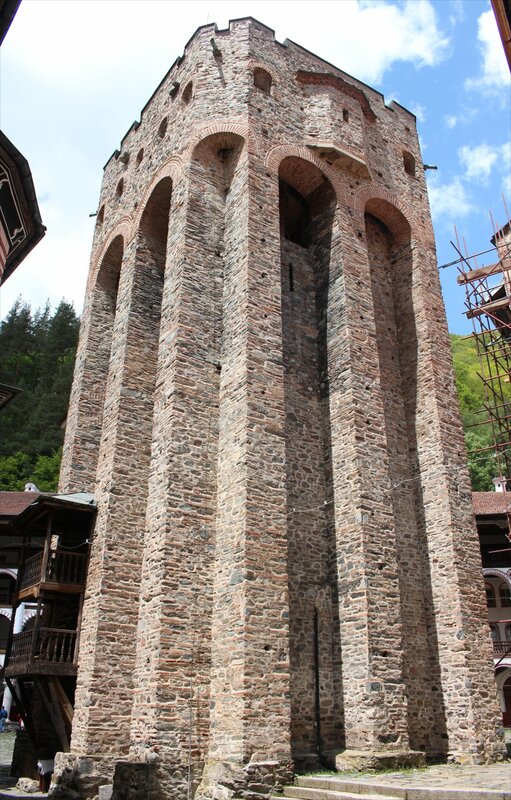 The one survivor is Hrelyo’s Tower, a rather unusual fortress-tower with a small chapel on the top floor. 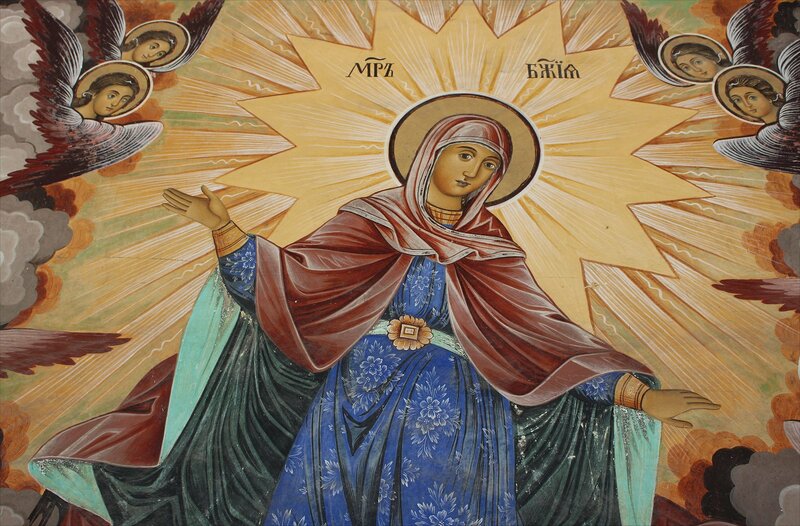 Not having our own transport, we opted to join a tour organised by Traventuria, departing by minibus at 9am from the parking lots outside the Alexander Nevsky Cathedral. 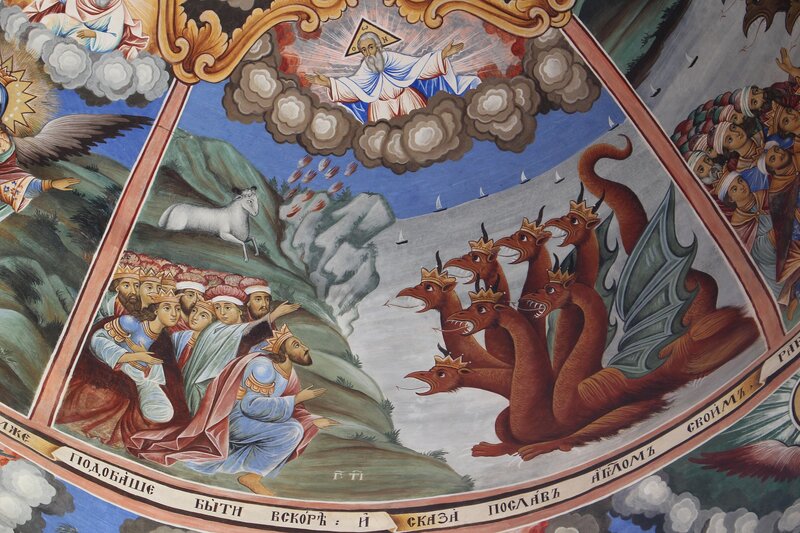 The tour took us first to Boyana Church in the suburbs of sofia, a small church noted for its beautiful frescoes. 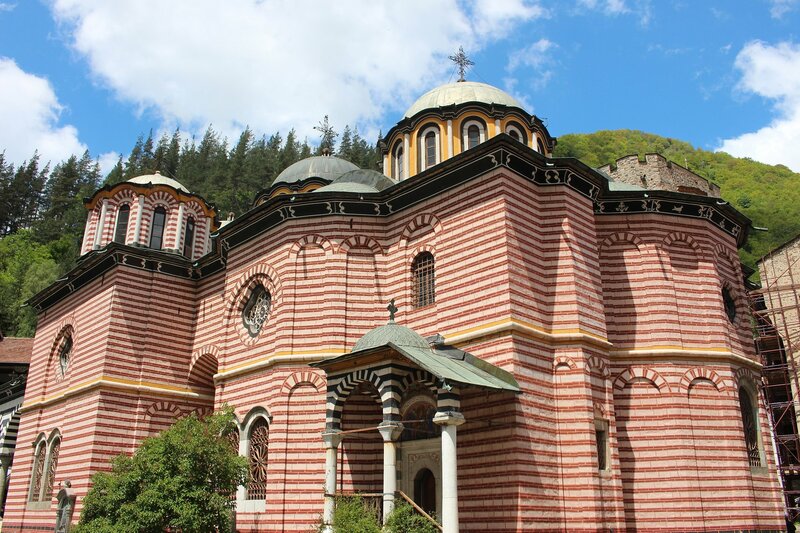 It was interesting to learn that its survival was down to an early efforts in preservation from the Bulgarian royal family who offered money to the locals to build a new church nearby, rather than demolish the existing one. 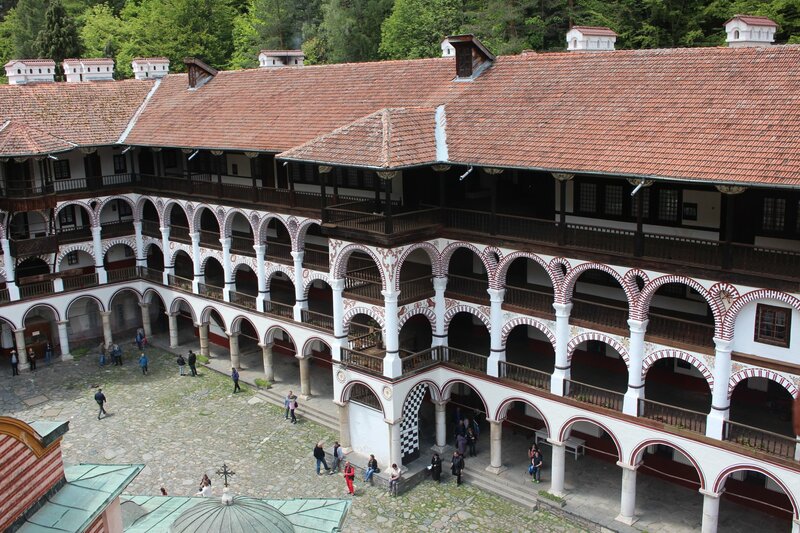 A two hour drive brought us to Rila Monastery, leaving just one hour and twenty minutes for a visit. Needless to say, this was insufficient time to do it partial justice, let alone full justice! However, we enjoyed the experience despite these limitations. 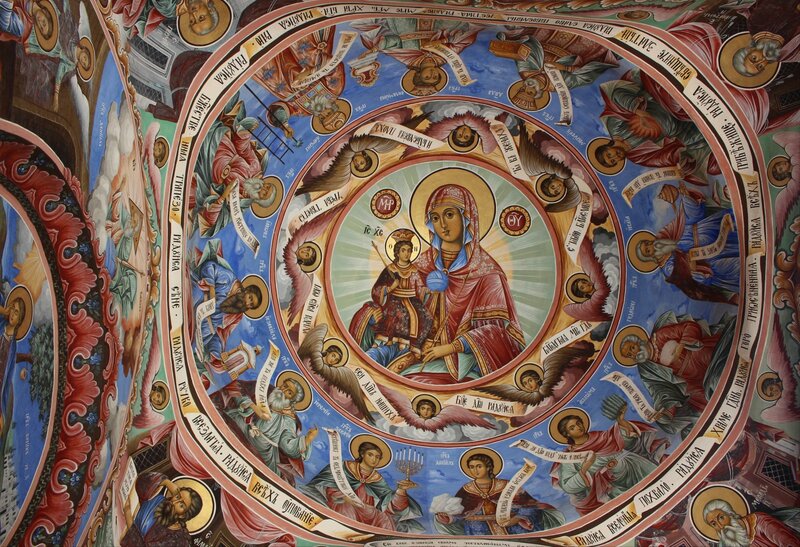 The church of the nativity offers a stunning spectacle, the like of which I have not seen in any other church, with an incredibly elaborate 33 foot wide iconostatis covered in gold leaf, remarkable murals and the grave containing the heart of Tsar Boris III. 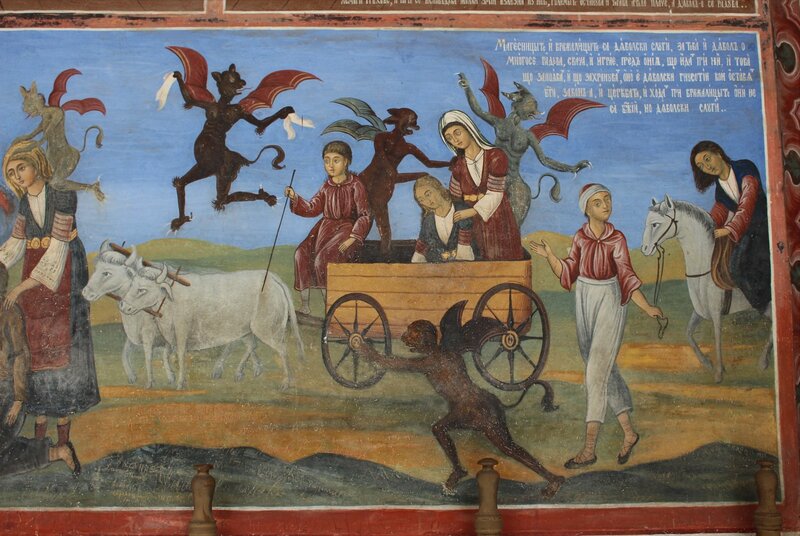 The murals command your full attention and you easily have spent the entire tiem absorbing the detail of each scene, especially the vision of hell conjured up in the arcade and the scenes illustrating the perils of giving in to the temptations of the devil. 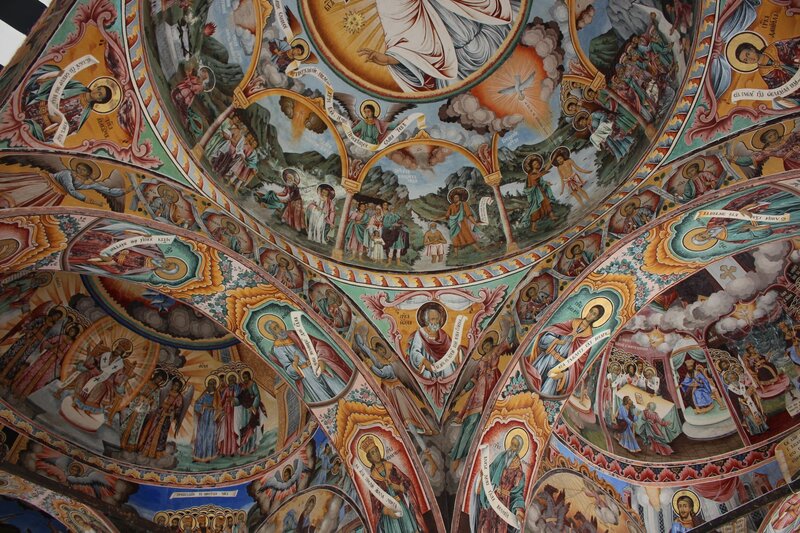 The limited time available gave us a dilemma – should we choose to see the treasures in the museum or to go up the Hrelyo’s Tower (5 lev apiece) to see the earliest frescoes on site (located on the 4th floor, behind glass). In the end we chose the latter and had no regrets about that. 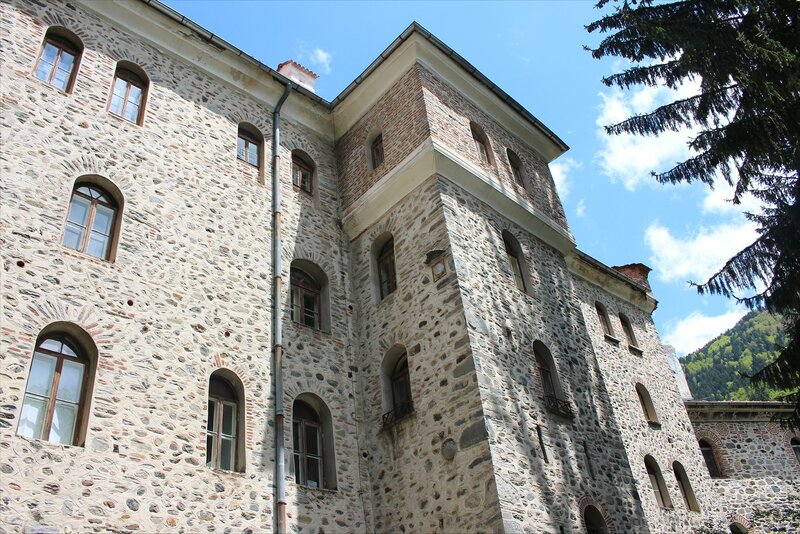 After our brief visit we headed back towards sofia, albeit with a two hour long stop at Gorski Kut restaurant for food, with brown trout from the local fish farm. I thought it a little absurd that we spent longer in the restaurant than at the main attraction, but I appreciate that is the peril of the bus tour! We left the restaurant just after 3pm and reached Sofia almost dead on 5pm.